all this happiness: Summer Daze. It's so hot. It's so hot and I can't stop talking or thinking about it, walking around sticking to everything I am in contact with. Bit quiet around these parts, but soon we'll all be chirping up a storm! I have some outfits to share (went the film-route this time, but I still have to use up the roll!) and the blog's first giveaway coming up soon! In the meantime I've had a mini vacation from work, discovered more freckles and got an unfortunate sunburn. But we'll be up and running again in no time! You are a beauty, Kater. The orange dress with the cream ribbon is so simple and pretty. You have reminded me to pick up some ribbons soon. Tis incredibly hot here in Canada as well and I'm almost certain we will boil. I feel like I'm a wee person being steamed to feed the sun. Yay for the freckles! Hey,beautiful in the second pic!! I don't know where you are on these pictures, but this place looks amazing ! 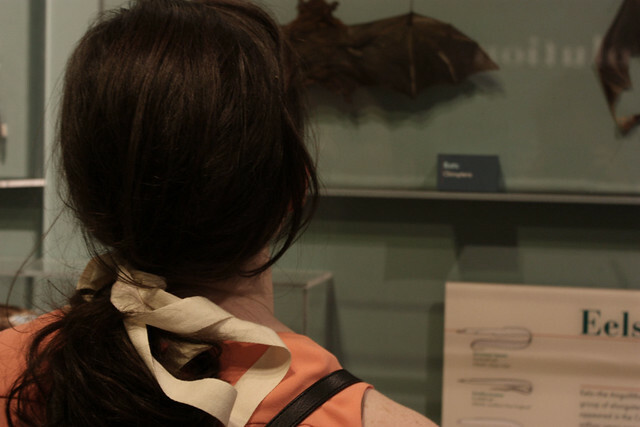 For those who asked, this was taken at the Harvard Museum of Natural History :D It was awesomeeeee! Lexie, it's a lie. My skin generally photographs well, but doesn't look like that in person really. Oh, that just looks lovely! I like going to see taxidermied animals, especially birs. And especially when they've been set up to interact in funny ways. And I especially like your new header, it's beautiful. And congratulations about the Fashion Spot spotlight! You are so gorgeous! I love the hair ribbon, and glad to see you're a museum girl too. I miss your blog posts very much - please come back! You make me want to wear ribbons in my hair! BRB off to buy ribbons! I love the photo. Bonus for the bird exhibit! I love how liberally you sprinkle your wardrobe with ribbons. Really lovely. Also, orange is super flattering on you. I feel like it's sometimes a harder colour to wear so Koudos! your skin is like porecelin, you always look beautiful, your photographs have the best lighting and I love love love natural history museums. You fit so much into such a small post. 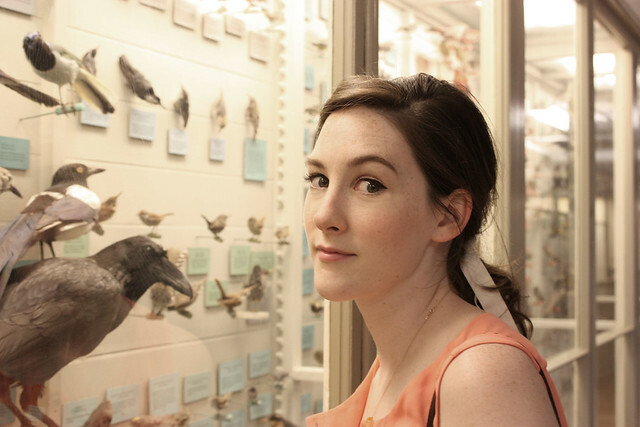 the 2nd photo of you with the taxidermy---sheer brilliance. love it.